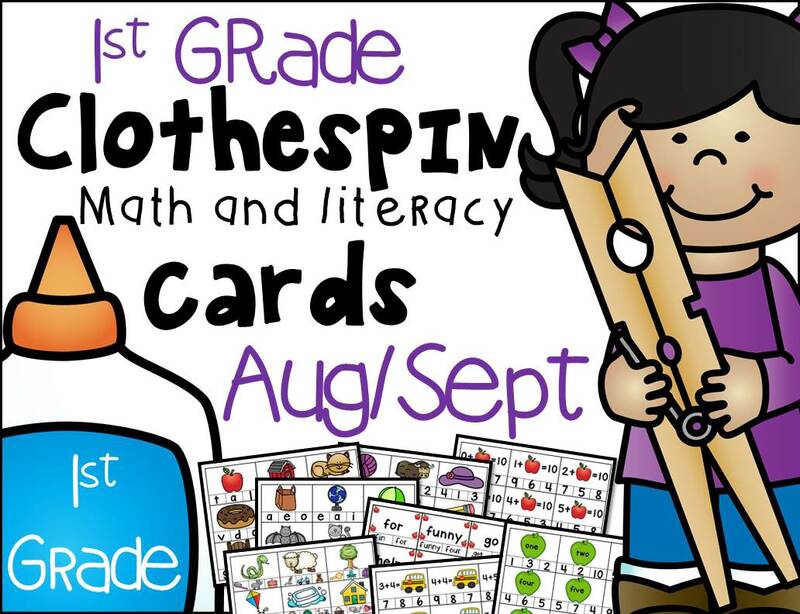 This is the Back to School set of 1st Grade Math and Literacy Clothespin Clip Cards! Clip the beginning sound of the picture shown. Clip the medial vowel of the CVC word picture shown. 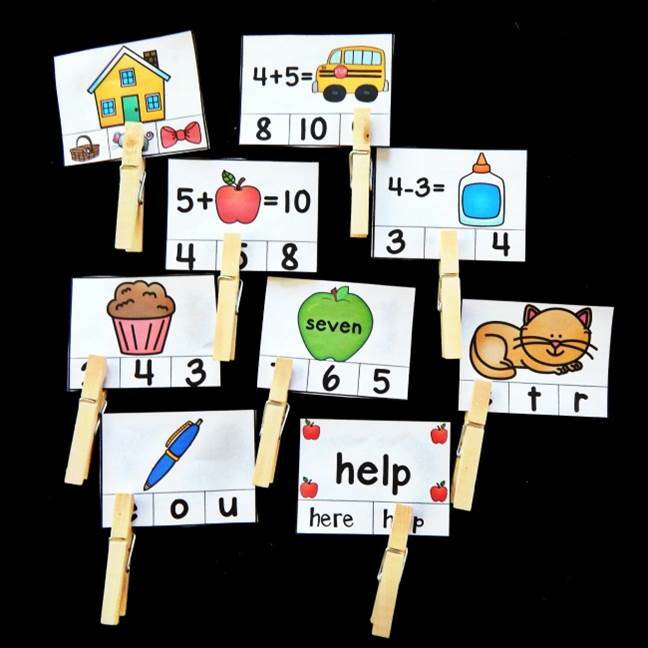 Clip the number of syllables in the picture shown. Clip the picture that rhymes with the one shown. Clip the missing sum to make 10. Black and White versions begin. – these are an additional 227 cards, just in black and white for an ink saving option!